Mobile software company Fleksy has announced a partnership with Chinese smartphone manufacturer ZTE that will see the latter pre-loading its keyboard on its phones. This means that users of upcoming ZTE handsets will be able to access complete Fleksy experience, including GIFs, stickers and emojis, out-of-the box. The integration will also include the recently launched custom theme builder, which you can use to customize your keyboard with photos, colors, and effects. "We're committed to delivering a faster and more expressive input experience for users across the globe," said Fleksy CEO Kosta Eleftheriou. "ZTE is one of the world's leading device manufacturers, and we're pleased to bring Fleksy to their users." Commenting on the partnership, ZTE CEO Adam Zeng said, "At ZTE, we are constantly listening and working with both our consumers and partners to enhance our smartphone feature offerings. As such, we are delighted to work with Fleksy to incorporate their award winning user typing interface to give our end users the best possible smartphone experience." I'm using it. I like it so far, but the punctuation key toggle takes a bit getting used to. Bigger letters and predictive text works wonderful for me. 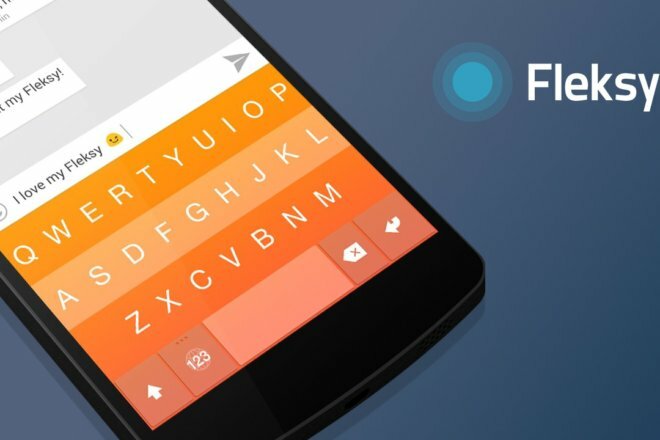 Worst auto correction in Fleksy,Right now I am using Fleksy just for it's theme but gonna uninstall this very soon, Fleksy can not predict your typing even if you typed the whole word.